Fulltime firefighter, professional boxer, star mixed-martial-arts fighter, devoted family man. Could Renaissance Man and UFC welterweight Chris Lytle's list of job responsibilities soon include rookie politician? On Monday's edition of MMAjunkie.com Radio (www.mmajunkie.com/radio), the longtime fighter mentioned interest in entering the political ring once his career in the cage runs its course. "I've been talking to some people in my state about it, trying to use whatever popularity I have from my name to help me run for some sort of political office," Lytle said. Lytle, a fan favorite who's stand-and-bang style and no-nonsense interviews have earned him a home in the UFC for nearly a decade, joked about another qualification. "I can lie with the best of them, my friend," Lytle joked. 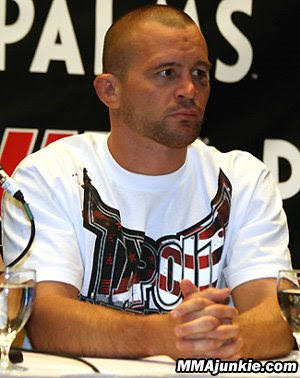 Lytle wouldn't be the first well-known MMA fighter to make a run at office. Late last year, former U.S. Olympic wrestler and veteran MMA fighter Matt Lindland won the Republic primary for the Oregon House of Representatives 52nd district by a solid 14 percentage points. However, he fell short to a Democratic candidate in the general election by 16 points. One Lytle supporter is already making the pitch. "He could launch his (political) career using the UFC name recognition and obviously using his talents to get him into the office," said Lytle's agent, Ken Pavia. "I think he'd be a great politician."